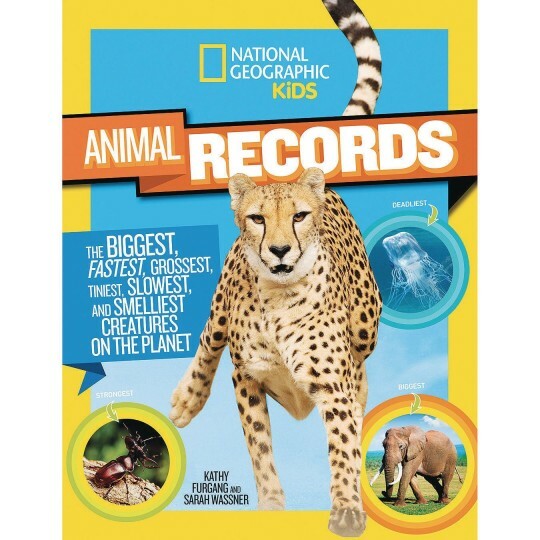 Bursting with mind-blowing animal records! Lively and information-packed, this book is bursting with mind-blowing animal records. The fastest, the biggest, the most poisonous, it’s all here for kids to discover. It’s a visual feast of colorful photographs surrounded by swirling, expanding, and climbing bits of information in a high-energy design -- as dynamic as the animal world it celebrates.